Becoming an adoptive parent is a life changing decision. Much work is required before you sign the adoption papers and a lifetime of work waits for you after bringing your adoptive child home. While adopting a child can bring immense rewards and joy, it can also bring many challenges. Here are 10 questions to ask when deciding if you’re truly ready for this important life change. Prepare yourself for success as an adoptive parent by asking these important initial questions. While this is a fairly basic question, it’s also one of the most important. If you’re unable to conceive a child and are considering adoption as an alternative, you’ll likely need to go through the grieving stages of not having a biological child before beginning the adoption process. Am I financially ready for a baby? Raising a child not only requires time, it also requires money. Being financially ready for a baby will help ease the stress that comes with parenthood and will help ensure you’re able to give your child the best life possible. Am I ready to commit to parenthood? Your world will shift dramatically after bringing your child home and you must be mentally prepared for those changes. Of course, parenthood brings many rewards, but you must be willing to also accept the challenges. Many adoptive parents want the full life experience of parenthood and, as such, choose to adopt infants. Others envision adopting a toddler or an older child. In the future, will I tell my child about the adoption? Deciding how or if you’ll share the news of adoption with your child in the future is important to consider before you begin the adoptive process. Creating this plan of action from the beginning will help ease your worries regarding the topic. How will I share the news with friends and family? 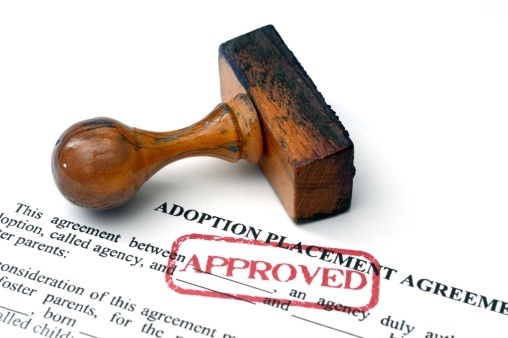 If you decide that adoption is right for you, your must then decide how and when you’ll tell friends and family. While becoming an adoptive parent is your decision, it also impacts others in your life and you must be prepared to handle their reactions. Is your relationship strong enough for parenthood? Assessing the state for your relationship can be difficult, but it’s essential when deciding if you’re ready for parenthood. A healthy marriage or partnership offers the foundation for a loving and nurturing home for an adoptive child. In the future, how would I feel if my child wanted to find his or her biological parents? At some point, your child may approach you with the desire to find his or her biological parents. If this happens, you’ll need to have a plan of action for handling the request and will also need to deal with your emotions surrounding the topic. 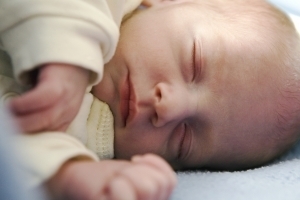 How will I handle potential problems during the adoptive process? Adoptions take time, which can be frustrating. Consider how an attorney can help ease the process and prepare for how you’ll handle any potential setbacks along your journey toward adoption. What type of adoption am I envisioning? If you’ll be adopting an infant, you’ll need to consider the type of adoption you want with the biological parents. Closed adoptions, open adoptions and arrangements in between are all options to consider before making your final decision. Adopting an infant is a life changing decision. Make sure you’re ready for the rewards and challenges. Becoming an adoptive parent will change your life in many ways. Considering those changes before adoption is necessary not only to make sure that adoption is right for you but also to ensure you create an adoption plan that works best for your family. As always, the experienced attorneys at Family Formation are available to answer your questions and guide you through the adoption process.